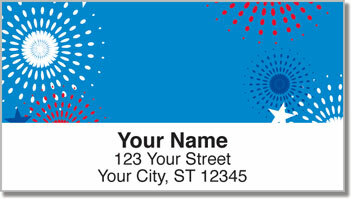 Give your outgoing mail some patriotic pop with return address labels that explode with red white and blue! This All-American design features illustrations of dazzling fireworks. They'll look great on the other side of the envelope from traditional flag stamps! 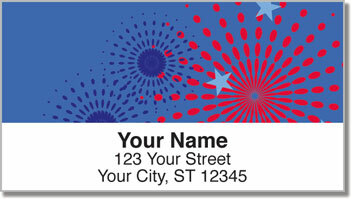 Patriotic Fireworks Address Labels from CheckAdvantage are a unique way to salute the USA. Plus, a convenient self-adhesive backing makes it super simple to complete an everyday task. Just peel and stick your name and address on every envelope before it goes in the mailbox! When you choose these labels, you can celebrate freedom all year long, not just on the 4th of July. 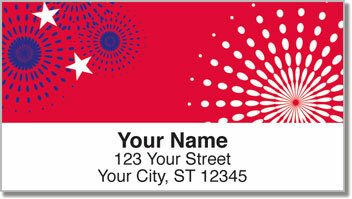 Get your very own Patriotic Fireworks Address Labels today! 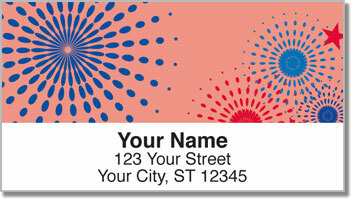 You can also order this style as a set of matching personal checks.